I am humbled and honored to have been elected County Commissioner for Lincoln County. This evening is the culmination of a long journey that started some 20 years ago. ho have shown the confidence in me and have elected me and will allow me to continue working at a job I find truly rewarding. Tonight’s vote is a validation of a process that started two years ago. Taking a page from the sports section I feel the asterisk next to my name has been removed. No longer appointed, but now elected to County Commissioner, and for that I am honestly grateful. And I will work hard to live up to the expectations of our county citizens. We have many challenges ahead, as we deal with limited revenues, rising costs and prioritizing the services the county delivers. During the next four years I want to look at technology to improve efficiencies and save money. I hope to improve the delivery of health and human services not only to our citizens, but also to our Veterans, and continue working to improve county emergency preparedness. And I would be remiss if I didn’t mention the long waited completion of Highway 20 is on schedule for completion in late 2016, fulfilling one of retired Commissioner Lindly’s vision that was started some 15 years ago. Tonight I realized a long held personal goal and to all those that have been a part of this journey I say thank you. I am pleased to announce this series of radio messages have hit the airwaves. I am also grateful to have the support of Don Mann, Steve Keck, Don Lindly, Julie Hanrahan and Heather Hatton. It’s touching to hear the authenticity in their voices. Thank you for your time and energy! Lincoln County Commissioner Doug Hunt will hold a news conference on Wednesday, Oct. 23 at 12:30 p.m. at the Port of Toledo Paddle Park gazebo in Toledo. 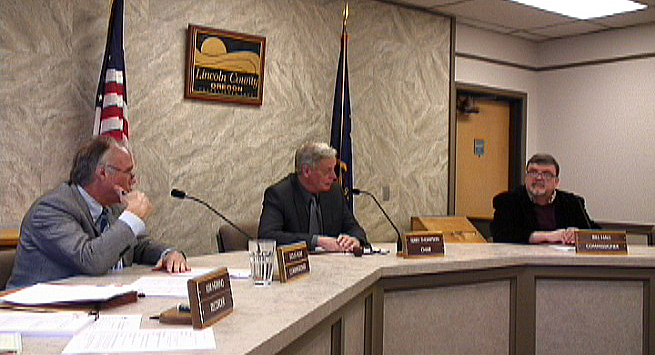 Commissioner Hunt will formally announce his candidacy for Lincoln County Commissioner Position 1. Hunt is currently serving in this position since his appointment in June 2012. Commissioner Hunt and his wife, Patsy, have three adult children, Matt, Shannon and Courtney, all graduates of the Lincoln County School District. They have lived in the Toledo area for the past 25 years. We are in an area of the Port of Toledo, one of several ports in the county and an important source of jobs, commerce and recreation in our great outdoors. As a county commissioner I have worked hard to represent all areas of the county. By announcing by candidacy here in Toledo where I live I am affirming my commitment to effectively represent all citizens of all areas of Lincoln County. Testimony before the Oregon Transportation Commission and their approval of an additional $142 million in funding to complete Highway 20 improvements. Highway 20 is a vital economic lifeline to our county and the improvements will save lives, and ultimately result in job creation. My representation on the committee that successfully sought the awarding of the Pacific Marine Energy Center (PMEC) to Newport. This natural energy research center has the potential to create numerous jobs, and builds on the critical mass of research commerce that is now our 3rd largest economic sector in our county. 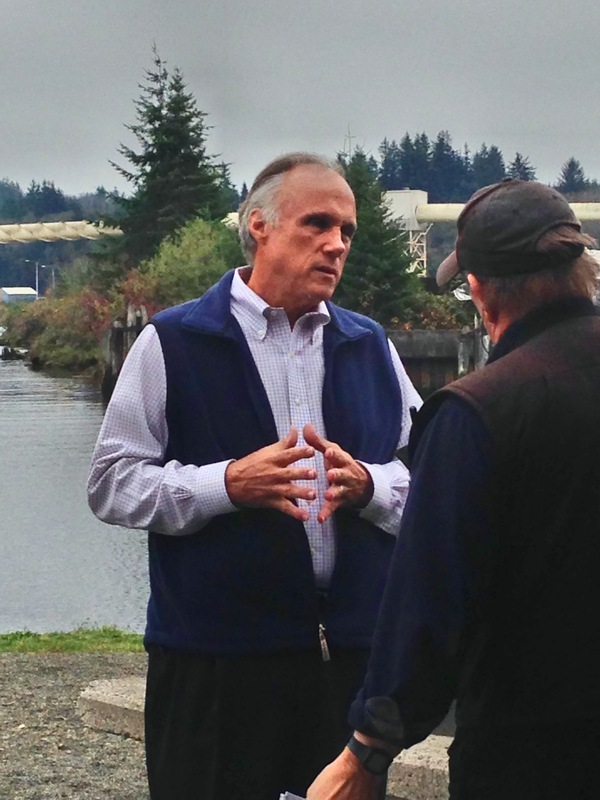 As Vice Chair of the CWACT, I oversaw submission to the OTC of road improvement applications totaling over $10 million, for projects in Lincoln City, Depoe Bay, Newport, and Waldport. These projects make our roads safer, improve transportation in our county and will add jobs adding to our economic recovery.